Research report by Cyriel de Jong and Kasper Walet. Gas hubs in Europe – there are many. Which one will become the most dominant in the market? Continental Europe is still far from being a mature energy market, despite the proliferation of natural gas hubs in the region. Although the European Commission has passed so far a couple of directives, these are not enough. Of course these directives are positive steps – but they have not done enough to create a standard framework for trading. A framework such as that of the US or UK is still far behind. Which is why Amsterdam-based Maycroft Consultancy Services has published a research report Towards a competitive European natural gas market. This report focuses not only on the situation on the European continent, but also the US and UK markets. 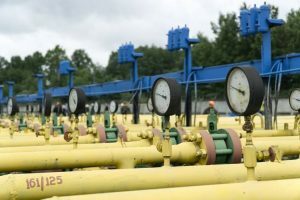 The research is based on in-depth market analysis and several interviews with industry experts concerning the development of the European gas trading market. Especially interesting are their views on which hubs and exchanges will be the likely winners and losers. According to a survey of European natural gas experts, the Bunde-Oude natural gas hub on the German-Dutch border is the most likely candidate to become the Henry Hub of Europe.